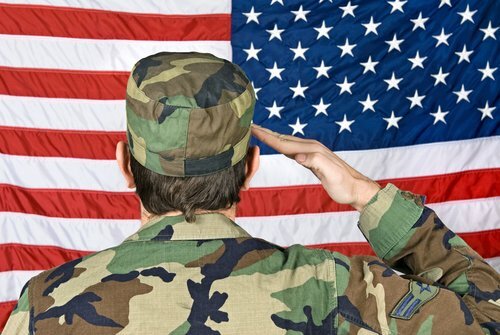 Determining ALE Status for ACA – Need a bigger reason to employ veterans? This is it. When it comes time to determine Applicable Large Employer (ALE) status, deciding which employees are counted as full-time or full-time equivalent can be daunting. The Surface Transportation and Veterans Health Care Choice Improvement Act of 2015 gives businesses incentives to hire veterans and military members. There are many considerations, but here we will specifically cover veteran and military employees and their impact on ALE status. When can a military member or veteran be included in your company’s ALE count? The quick answer? When that employee does not have access to an approved healthcare provider through the military. Specifically, employees who have medical coverage (1) under a program for members and certain former members of the armed forces and the Commissioned Corps of the National Oceanic and Atmospheric Administration and of the Public Health Service, including Tricare, and (2) under certain programs administered by the U.S. Department of Veterans Affairs are now disregarded. Therefore, if a veteran or active duty military employee does have coverage through Tricare or another approved insurance provider, the employer does not have to include that employee in their count to determine ALE status. This is good news to those businesses on the brink of ALE status. However, this does not mean that companies do not have to make an offer of coverage to veterans or military members. Coverage still needs to be considered Minimum Essential Coverage, Minimum Value Coverage and within affordability guidelines for the reporting year as outlined for other employees. You can review these requirements here. This rule simply states that businesses who employ more veterans hold off the risk of being considered an ALE a little bit longer. Hiring veterans comes with many benefits, but if businesses ever needed a reason to hire veterans or active duty military, they have found one.